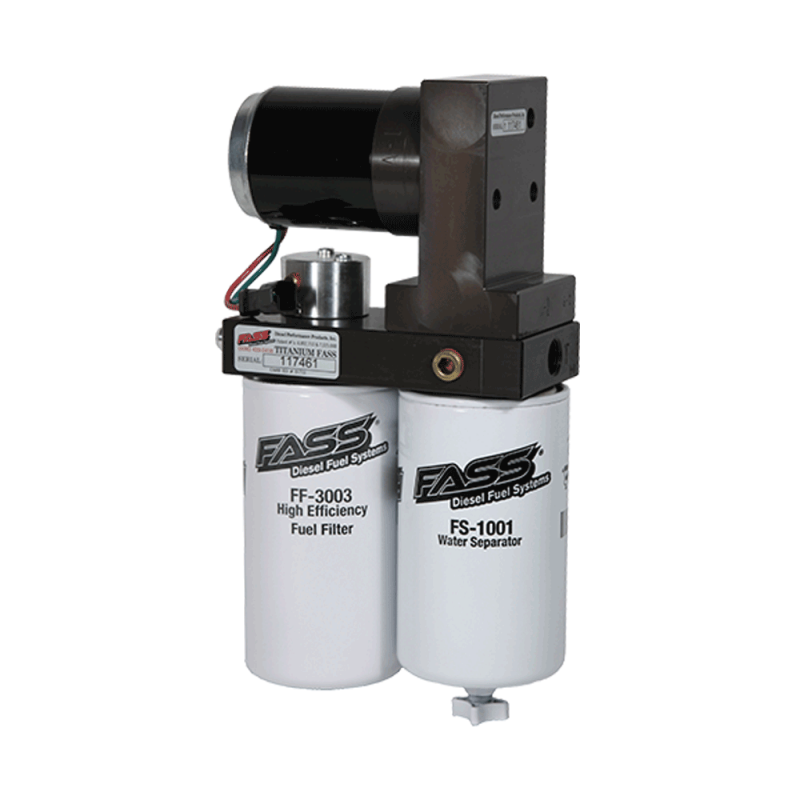 The Titanium Series diesel fuel lift pump for your 2005-2017 5.9L/6.7L Cummins was engineered by FASS Fuel Systems to be the top performing, longest lasting and most reliable aftermarket filtration system in the diesel industry. Rated at 165 gallons per hour and backed by our limited lifetime warranty the Titanium Series lift pump is capable of supporting your Cummins diesel engine with enough fuel for aggressive tuning and fuel system upgrades. 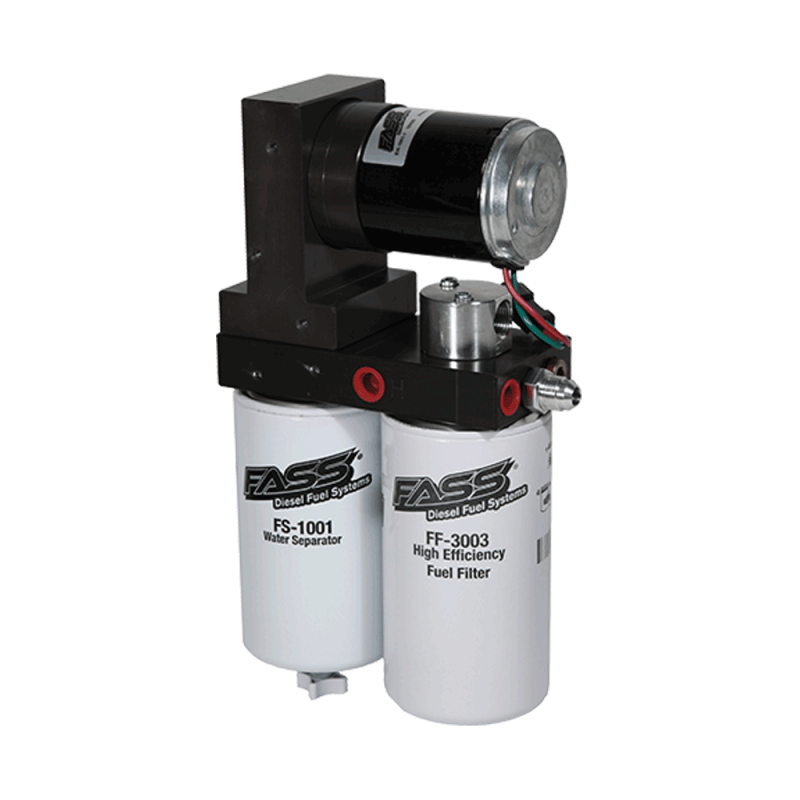 Was developed by the engineering team here at FASS Fuel Systems to help reduce the noise created by aftermarket fuel and air separation diesel lift pumps. 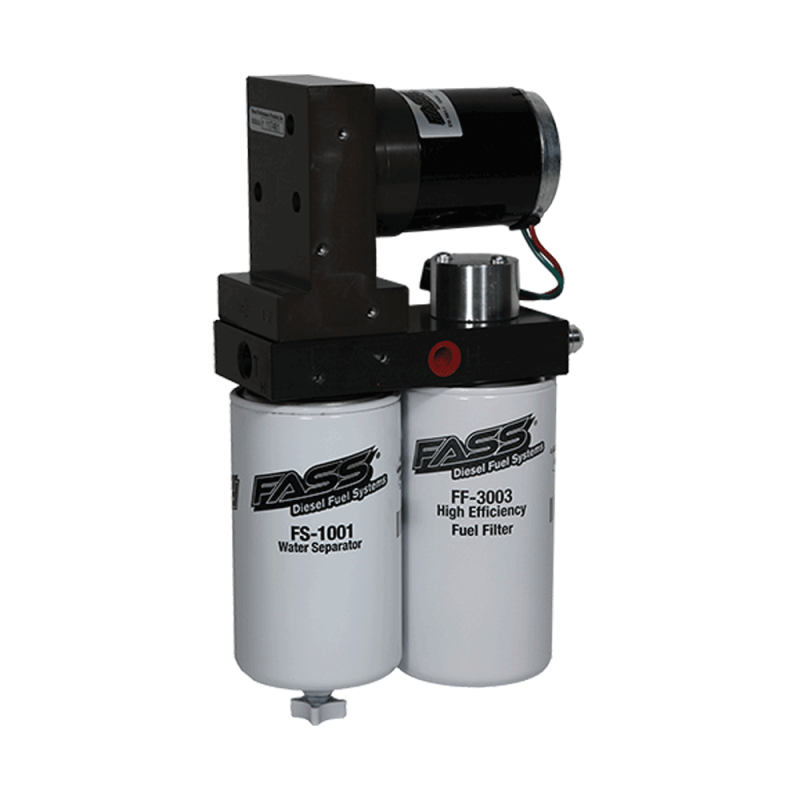 By using radius cuts, tighter tolerances on all gears and a high quality military Spec'd Coating over the aluminum base, FASS Fuel Systems was able to develop the quietest fuel air separation system on the market. Are an advanced machining technique used to improve the flow of fuel through the diesel lift pump by creating smooth flowing cuts within the aluminum housing. This prevents the reintroduction of air and vapor back into the fuel and also to prevent stagnate fuel pockets from forming within the corner of a 90 degree bend. FASS Fuel Systems Titanium Series Diesel Fuel Pumps are the only Fuel Air Separation System that incorporates these exclusive Performance Radius Cuts, lesser competitors commonly use T-Bone and square 90 degree fittings that can limit fuel flow, cause restrictions and reintroduce air back into your fuel. Technology is used to continually "polish" your fuel by keeping a positive pressure on the fuel being delivered to the engine and returning the fuel, that's not yet needed, back to the tank after it has been passed through the filtration process, removing dirt, air, vapor and water. This means your fuel is being constantly moved and cleaned, guaranteeing that your diesel truck always has the freshest and cleanest fuel possible. The latest update we have made to our Titanium Series lift pumps. Old mounting styles required drilling or welding when mounting your new pump. This has now been simplified with our new bolt on brackets that utilize your Ford Super Duty factory bed bolt, the bolt that secures your truck bed to your frame. Mounting your Titanium Series lift pump takes only minutes and all brackets are made from machined steel for superior support and strength. 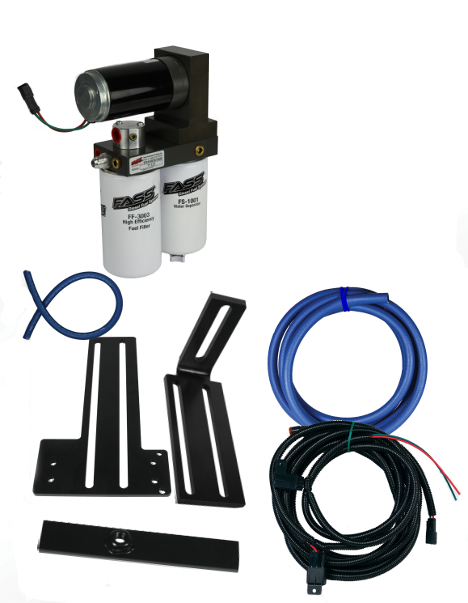 A Titanium Series lift pump also offers advanced filtration benefits that will help protect your Powerstroke's injection systems, effectively extending the life of both your Injection Pump and Injectors. These Benefits include an improved filtration rating of 3 Microns, a built in water separation filter and FASS Fuel Systems patented air/vapor removal process. 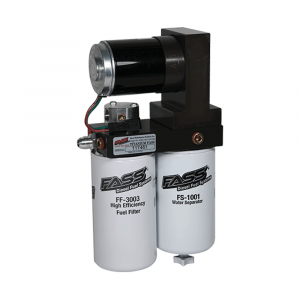 Aftermarket lift pumps are important for both drivers and high performance applications when looking to improve either fuel economy or increase horsepower/torque.